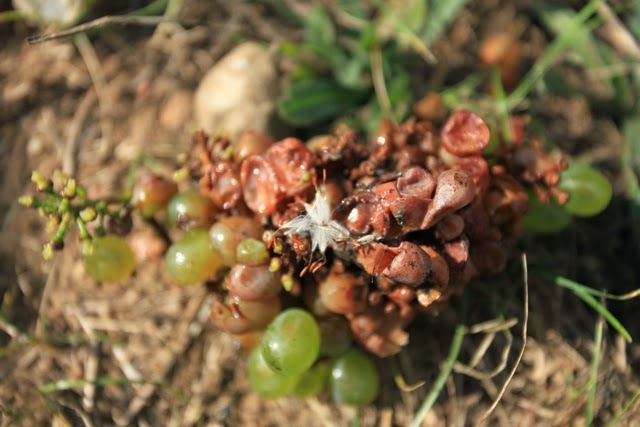 The vast majority of the 2014 grapes are very healthy with almost no sign of rot. However, just occasionally, there is a bunch affected with acid rot. 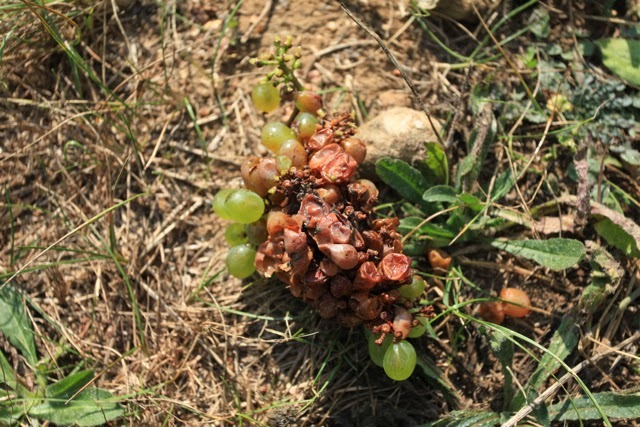 This particular bunch (Chenin Blanc) had a very powerful smell – perhaps stench is better – of vinegar. Certainly not something a producer wants to get through to their fermenting vat. Picking by hand, of course, means that there is a better chance that acid rot bunches will be identified and rejected in time. Less easy if you are machine harvesting, although perhaps possible with the latest hi-performance machines.